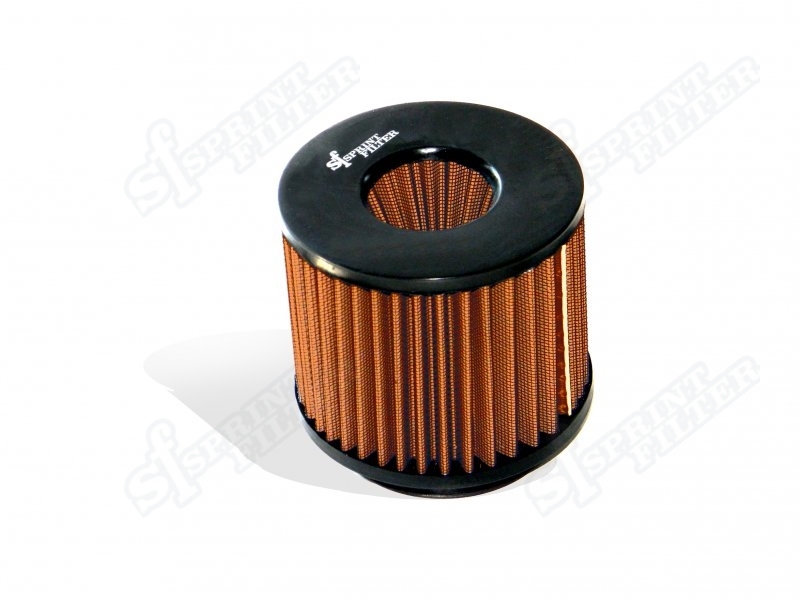 Sprint Filter Double Flow air filters are produced with three types of fabric (P08, P037 - P08F1-85 is on demand), depending on the type of use. These special universal air filters are equipped with a reversed filtration cone providing an increased filtering surface, thus allowing additional air into the intake manifold. 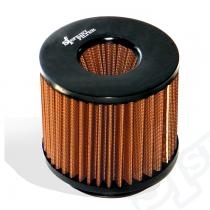 The unique configuration of the Double Flow air filter ensures that air enters the center and sides for adequate air entry, even if the filter is positioned in an unfavorable location of the engine compartment. They can be installed by eliminating the original filter holder and can be placed directly on the throttle body or using adapters (not included) so they can be housed under protection in an area where they can take in fresh air. This configuration is recommended for extreme performance use. The P037 and P08F1-85 are patented and are the only waterproof air filters in the World. They work without any sock to repel the water and humidity.